As 2015 comes to an end, take some time to look over these changes, issues, and other concerns you may have this tax season. Millions of people will now continue to have access to affordable health care in the states which did not establish marketplace healthcare exchanges. It also tees up our next three major tax issues. In addition, federal poverty level guidelines, used to determine if the individual qualifies for subsidy, have increased. Applicable large employers who have on average of 50 or more full-time equivalent employees in the prior calendar year must offer minimum essential coverage that is affordable to their FTEs and their dependents, or be subject to an employer shared responsibility payment. Transition relief for 2015 exists for ALEs with fewer than 100 FTEs in 2014, and only requires employers to offer minimum essential coverage to 70 percent of full-time employees and their dependents in 2015. The Form 1095-B and Form 1095-C, which were optional for calendar year 2014, must be filed by any person that provides minimum essential coverage to an individual (1095-B) and by applicable large employers (Form 1095-C) who had on average at least 50 full-time equivalent employees during calendar year 2014 or small employers who are member of a controlled group that collectively had at least 50 FTEs and who offer an insured or self-insured plan or no group health plan at all. Under new policies announced by the IRS, taxpayers may receive a letter when the service stops suspicious tax returns that have indications of involving identity theft but contain legitimate taxpayer’s name and/or Social Security number. 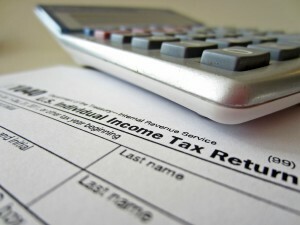 The IRS has agreed to reverse its policy and provide identity theft victims with copies of the fraudulent tax return that has been filed under their name by scammers, so they can take the proper steps to secure their personal information. Despite efforts to get ahead of schedule, Congress looks likely to pull its usual wait-until-the-last-minute trick for extending things like the Section 179 deduction, the R&D credit, and host of other credits and deductions that expired at the end of 2014. If not extended to cover 2015 before year’s end, this will make tax planning difficult, and result in delays in tax forms and software releases. All states must now recognize all married couples in the same way for state income tax purposes, regardless of gender. This will impact the ability to file join income tax returns, the ability to transfer property to each other tax-free, the ability to leave an estate to the spouse without gift tax implications, and spousal treatment of inherited IRAs. In observance of Emancipation Day on Friday, April 15, 2016, taxpayers will have until April 18, 2016, to file their 2015 individual returns and make their first 2016 estimated tax payment. Taxpayers in Maine and Massachusetts will have until April 19, 2016, to file their returns so they can observe Patriots Day on April 18. These regulations caused a number of headaches last tax season. Under the final regulations, all costs that facilitate the acquisition or production of such property must be capitalized. Improvements to property that better a unit of property, restore it, or adopt it to a new and different use must also be capitalized.